Living in New Zealand, on a street that doesn’t have fibre yet (but will soon! ), I tend to take it as a given that my online experiences with fighting games aren’t going to be great. Depending on the game, the other player, and other little details, playing online ranges from serviceable to outright unplayable. I’m used to this. I accept this. Beta tests are usually worse, since their express purpose is to put strain on a game’s servers to make sure it can handle spiking player numbers. In last weekend’s SoulCalibur VI beta, I had flawless or near-flawless connections in every match I played. I’m not just talking about playing with people from down the street, either; most matches I played were with people from the United States or Europe, but felt like I was playing locally. 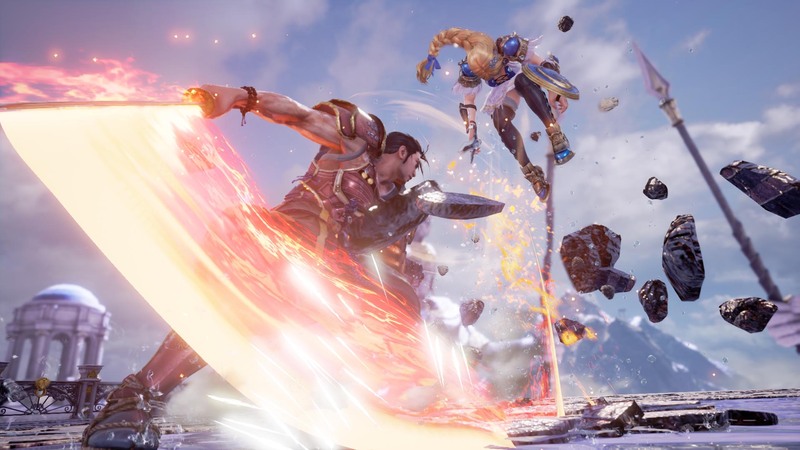 In a game that depends so much on split-second reactions, that makes a world of difference, and it might make SoulCalibur VI my go-to fighter when it launches later this month. That said, the matchmaking system left me wanting. Even with as wide a search as possible, the wait period before finding a match was long. Some of this will be due to playing outside America’s and Europe’s peak times (ah, time zones), but in a free open beta test for a highly-anticipated game, I can’t imagine player numbers would be so few that I could only get one match every 15 or 20 minutes. This isn’t necessarily representative of the final game, but I hope the matchmaking can get ironed out before release. One thing that will definitely carry over to launch is how great the game itself feels to play. SoulCalibur has always been my preferred 3D fighting game, thanks to a combination of great characters, its grandiose setting, and a combat system that’s deep but not as impenetrably obtuse as the likes of Tekken and Virtua Fighter. SoulCalibur VI sticks close to that framework, but it brings a few novel new ideas into play. The most significant of those is the Reversal Edge system, which lets you evade and counter almost any attack (so long as you get the timing right). If successful, the action goes into slow motion, and you and your opponent get thrown into a sort of rock-paper-scissors game to determine who comes out the victor in the ensuing clash. That brief pause where you decide what button to press are intense and exciting—the mind-games of the fighting genre distilled to their essence for just a moment, as you weigh the potential benefits of the eight (!) different options available to you and what you think your opponent might do. Guess right, and you’ll win the clash, doing a bit of damage and putting you in an advantageous position. Guess wrong, and you’ll be left on the defensive. Reversal Edge is also a good way to interrupt your opponent’s momentum. It’s a bit like a Guard Impact on that sense, albeit with more lenient timing and without the instant advantage that Guard Impacts give you. In a game that puts its focus on the back and forth between players rather than lengthy juggles and unrelenting pressure, Reversal Edge is another way to facilitate. The beta test for SoulCalibur IV included online versus mode only—which is fair enough, given the test’s purpose—but I’m I’m eagerly looking forward to seeing what the single player side of the game looks like. 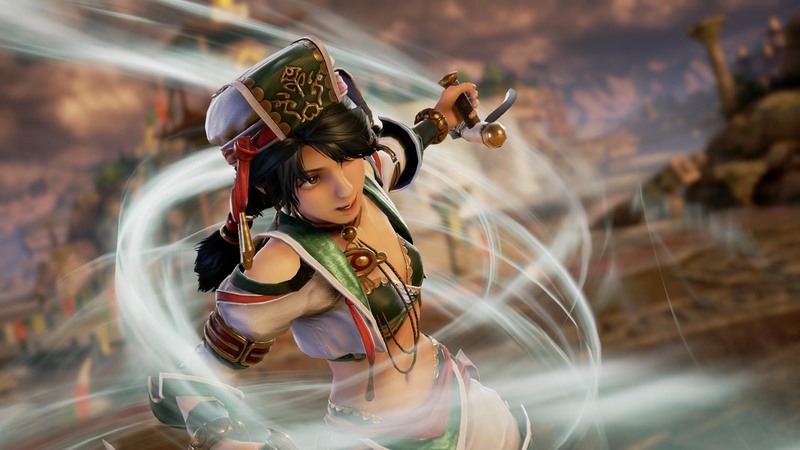 SoulCalibur always puts a lot into those modes, getting almost RPG-like at times, and now that I know the core fighting system is solid, I can’t wait to jump into the various solo modes that have been announced. SoulCalibur VI comes out 19 October 2018 for PlayStation 4, Xbox One, and PC.